Does It Sell More Flowers? Will the Certified American Grown Brand Drive Sales? Click to hear my answer. Click to hear my answer! I used Facebook Live in our American Grown Flowers Forum to quickly address this question that I get from time to time. If you’re not a part of the forum, simply request to join! It’s hard to believe it was just last year when we watched as Hurricane Matthew blew through Florida, causing tremendous loss and billions of dollars in damage. In the floral industry, Florida is recognized as the fern and foliage capital of the United States, and the fern farms there were hit hard. Acres and acres of shade cloth was destroyed during Hurricane Matthew in 2016. 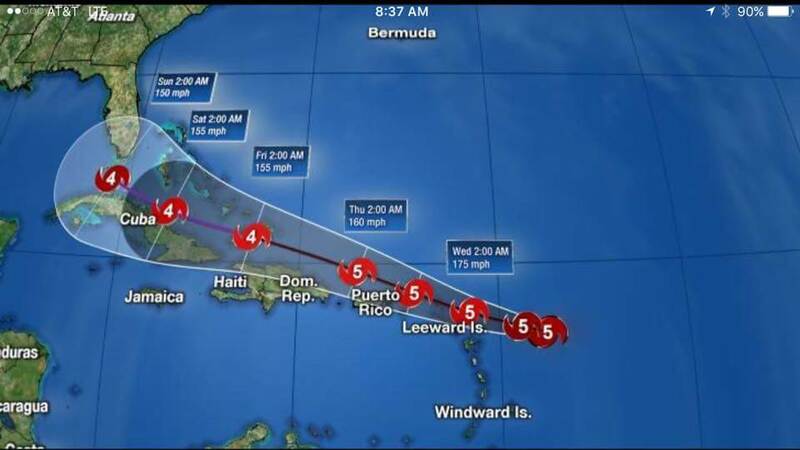 So, as Hurricane Irma bears down and Floridians prepare for the worst, our thoughts and prayers go out to our flower and fern farming community in Florida. With so many hours and dollars spent on the recovery and repair from Matthew, we are praying that Irma fades away into a tropical mist and spares these farms from another destructive weather event. No matter what happens, America’s flower farmers continue to stand with our fellow flower and fern farmers in Florida. 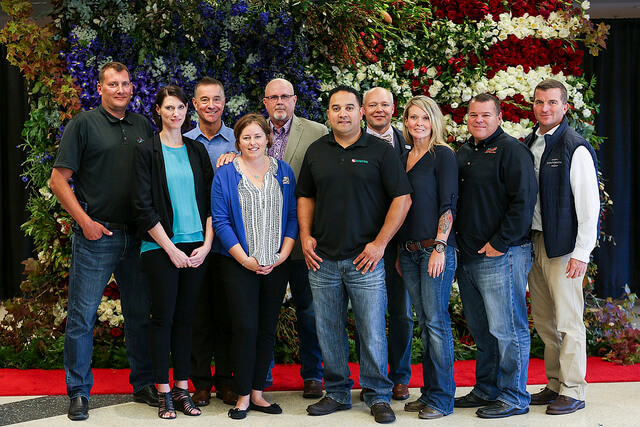 As a symbol of solidarity, America’s flower and greens farmers stood with Florida fern farmer David Register of FernTrust (back row, center), dedicating an all-American Grown American flag to the fern farmers of Florida at the 2016 Wholesale Florist & Florist Supplier Association (WFFSA) conference after Hurricane Matthew. If I’ve been a little quiet on my blog lately, it’s because we’ve been working on some big news behind the scenes. 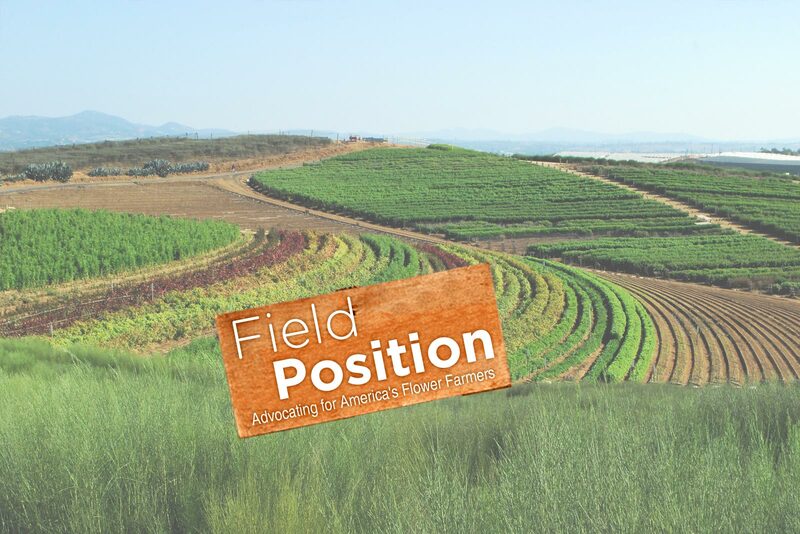 Today, Certified American Grown announced that it had selected Where Food Comes From (WFCF) as the organization’s third-party certification company going forward. From my perspective as the administrator of the program, I’m very excited to be working with the WFCF team and gleaning from their experience as the No. 1 certification and verification company in the food industry. I’ve already been learning a lot from them through the transition as they work on the redevelopment of the program’s certification process. To introduce this dynamic team, we’ll host a “Relaunch Party” to help memorialize and usher in this new era of opportunity and growth. 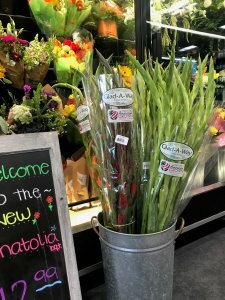 The program has enjoyed great success in its first three years, becoming the largest consumer-facing brand in the floral industry and certifying millions of stems of flowers each year. Now, with the energy and support of WFCF, the program will be shifting gears and looking forward to expanding the program’s reach, value and benefits to our farms and their customers. Join us on September 14! RSVP to Andrea at andrea@americangrownflowers.org. I look forward to introducing you to the new team! 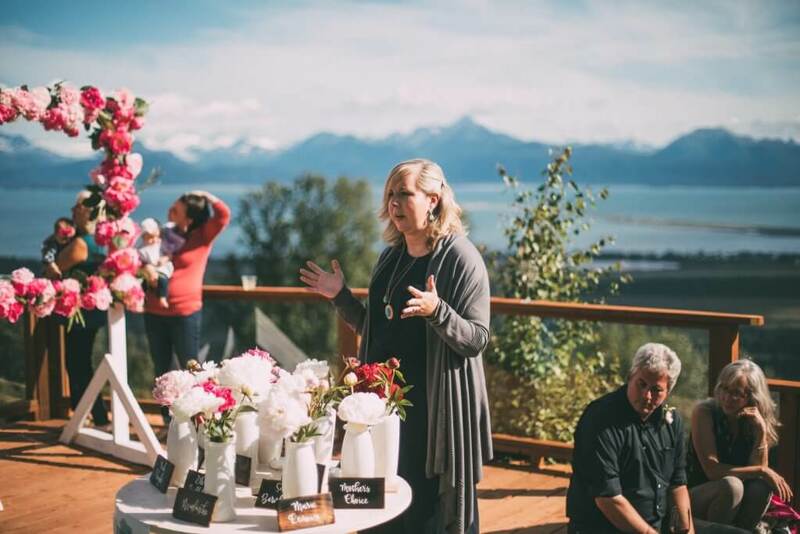 Our most recent stop on the American Grown Field to Vase Dinner Tour was Scenic Place Peonies in Homer, Alaska. 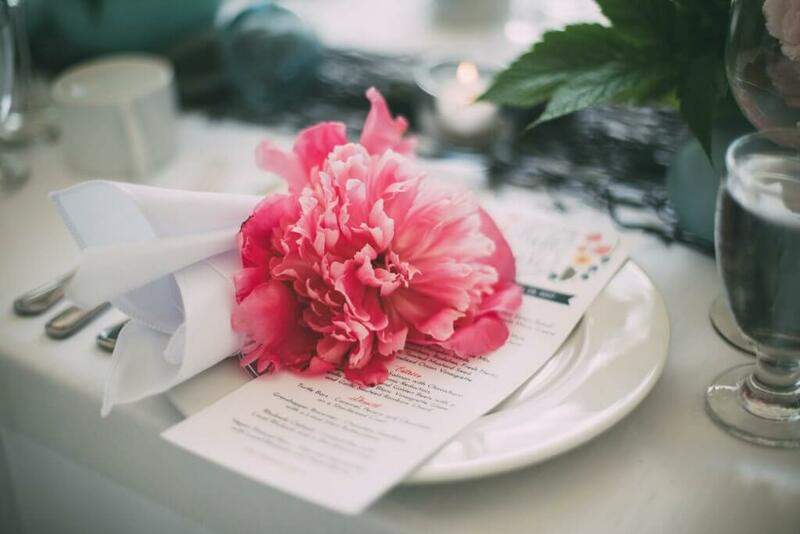 This dinner marked our 22nd dinner in the past three years that we’ve been crisscrossing the country, inviting the the public to come and dine in the fields of America’s most beautiful flower farms. Yep. Peonies. And not just any ol’ peony. Big ones. Which was exactly why it was so important for the dinner tour to head up to Alaska and shine the spotlight on this burgeoning group of flower farmers who are harvesting these massive peonies during the months of July and August, when historically there hasn’t been any available in the lower 48. And while the opportunity to tell the story of these farms was too great and something we had to do, it would also be the most risky dinner we’d ever planned. 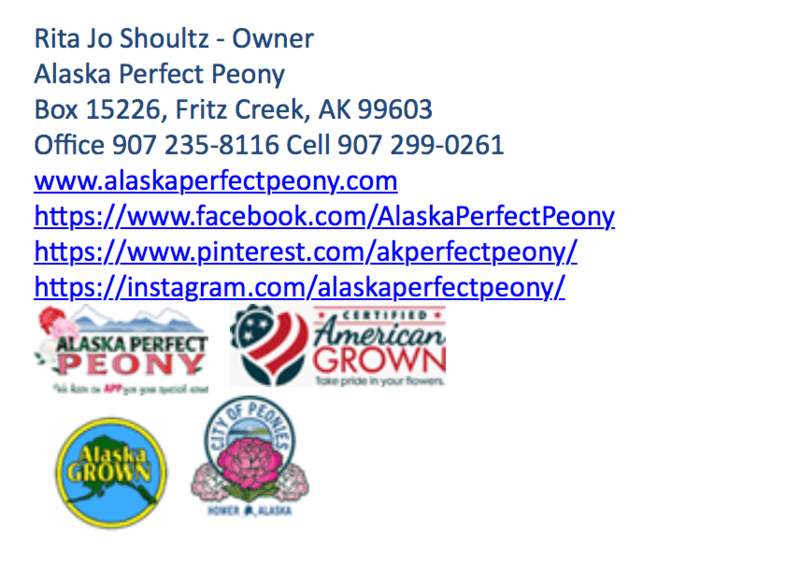 When you consider that the largest city in Alaska’s population is just under 300,000 people and that market is a 4.5 hour drive for our host farm, we knew we would have our marketing hands full. 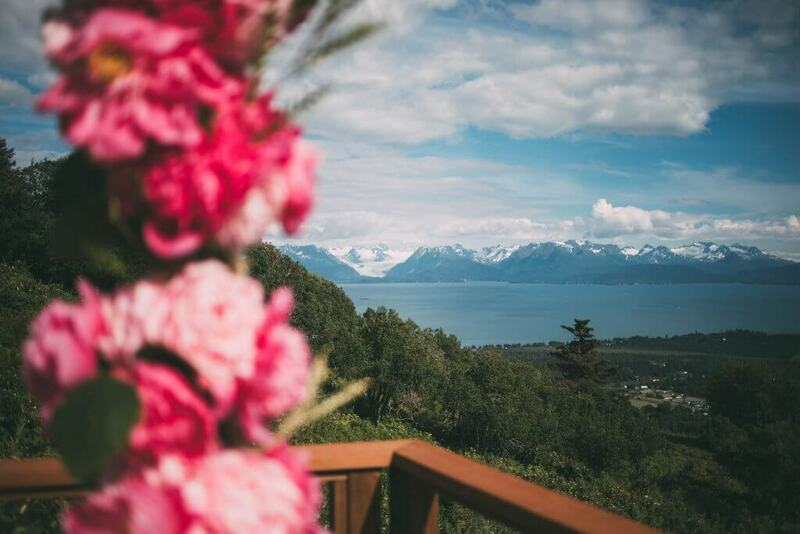 Would people from the lower 48 really fly up to Alaska and then drive or fly down to Homer? The dinner was a sold out crowd of 116 people, many who flew in to Anchorage and made that drive to Homer. We had a number of people from Fairbanks and Anchorage too. 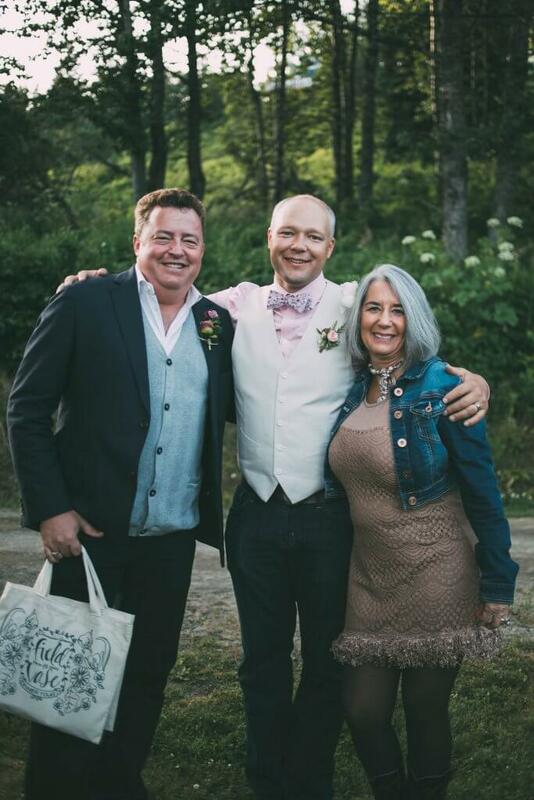 Certified American Grown flower farmers Beth VanSandt and Kurt Weichhand of Scenic Place Peonies were amazing hosts. 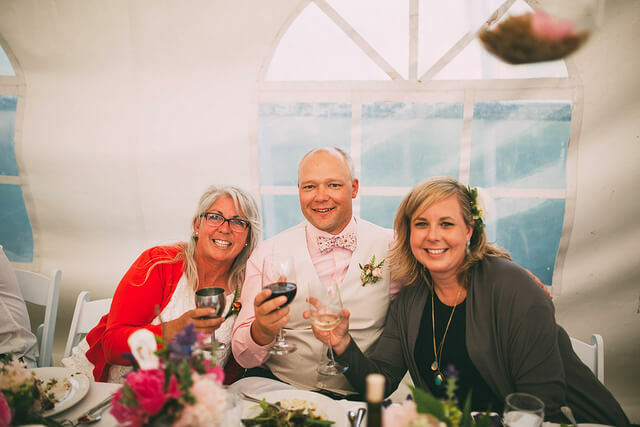 They had this incredible team of friends and family helping to prepare their farm for all of the guests who would arrive. 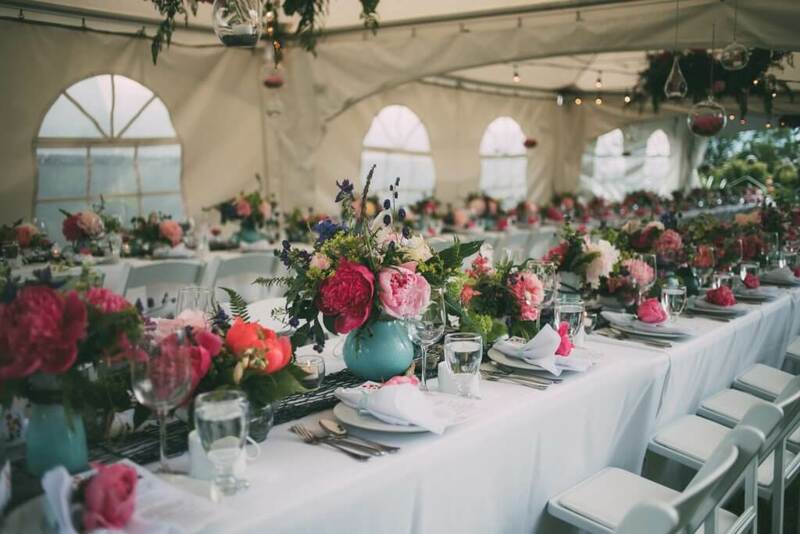 Kelly Shore of Petals By The Shore was our featured floral designers. You’ll remember Kelly from our work on the First Lady’s Luncheon earlier this year. Kelly was one of our lead designers for that event and did an amazing job. It as through that experience that she had met and gotten to know Beth and Kurt while working together in Washington, D.C. for the event. 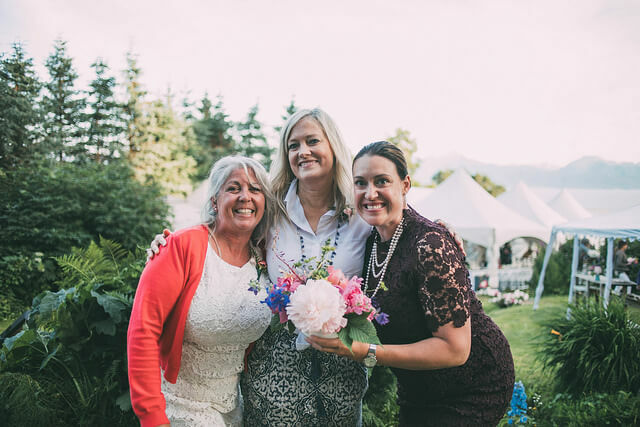 So, it was a fun reunion to have Kelly in Alaska designing for the American Grown Field to Vase Dinner on Beth and Kurt’s peony farm. Kelly did an outstanding job. 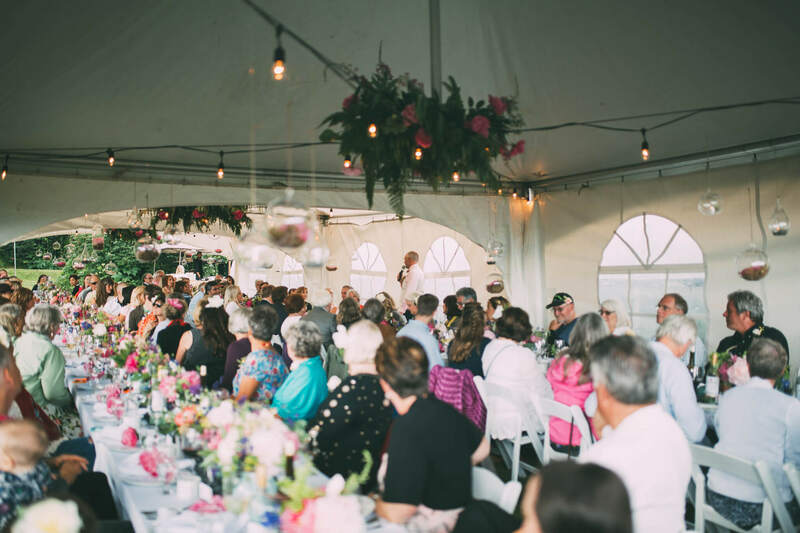 Working with Beth, she created a tablescape and design installations that honored the Alaskan fishing culture, the entrepreneurial spirit of Alaska’s peony farmers, while highlighting how all growing momentum for American Grown Flowers. I have to also tip my hat to chef Dave. 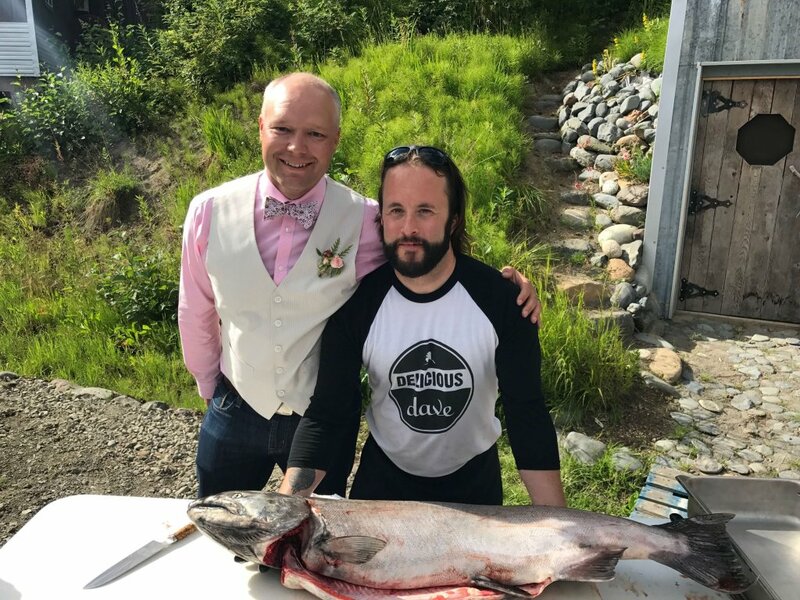 Dave Thorne of Delicious Dave’s did an outstanding job with the evening’s salmon dinner, especially the King Salmon… Which in full disclosure, I had caught the day before on the Kenai River (a 40-45pd King Salmon!). 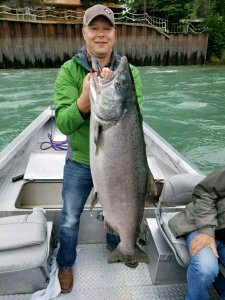 Catching this King Salmon on the Kenai River was something I’ll never forget. Never before and probably never again will I be able to say that I caught dinner for one of our American Grown Field to Vase Dinners, but chalk this up as just another example of how incredible this dinner turned out to be. Were you there? Leave a comment, share your experience below. 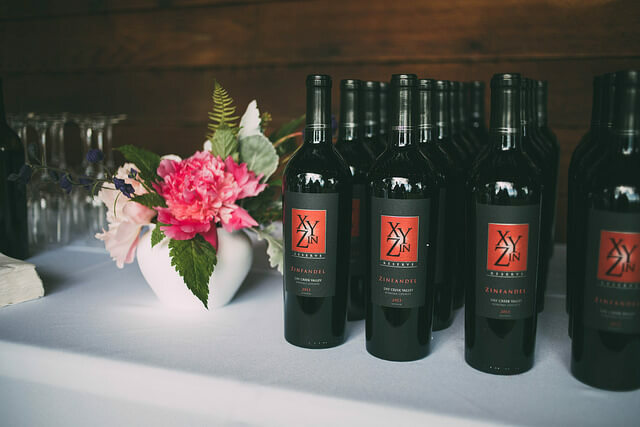 A special thank you to the team at Joshua Veldstra Photography for capturing this beautiful dinner. All of the photos from the event can be found on our Flickr page. Today, the Society of American Florists (SAF) published an article regarding the impact cannabis might have on the floral industry. Writer Julie Martens was tasked with calling up our farms in California to get a sense of how things might be changing since the passing of Prop 64 in 2016, legalizing recreational use in California. Bob Echter of Dramm & Echter and Janet M. Louie of Green Valley Floral do a great job of providing their opinions and experiences with how the legalization of cannabis in California might be impacting their business. And I know a lot of farms in California and other states feel the same way as Janet, who is quoted in the article saying, “There’s a lot of interest in growing marijuana in California, but our plan is to keep growing flowers as long as it is economically feasible. Growing flowers is much more than just a business to us, so we would like to see it continue for the foreseeable future.”So, will marijuana cultivation affect floral industry? The simple answer is yes; it already is. However, the real question is what will that impact look like? Negative? Positive? Business as usual? It’s really too early to tell. 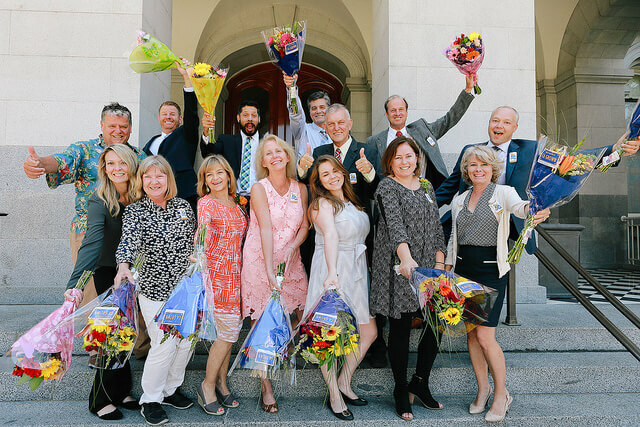 Of course, it’s something I’m watching from my position as CEO of the California Cut Flower Commission (CCFC). I have a front-row seat to the decisions our farms are making since the passing of Prop 64. To put an even finer point on it, the CCFC’s budget is based on the sales performance of our farms. Before the U.S. Department of Agriculture’s annual National Agricultural Statistics Service (NASS survey), the California Department of Food and Agriculture’s (CDFA) annual floriculture survey or any county commission crop report ever comes out (note: all of those reports are voluntary surveys that cover the previous crop year), the CCFC is the first to see any changes in sales and production from the reports our farms provide each quarter, significant or otherwise. I think the SAF article does a good job of tackling this tantalizing subject, and it’s something to be aware of and watch, but I can also tell you that no one was calling when some of these same farms were investing in lettuce, cucumbers and tomatoes. This is farming and farmers diversify. It’s also important to ask, “why?” What is motivating these farms to consider selling their farms or replacing production. 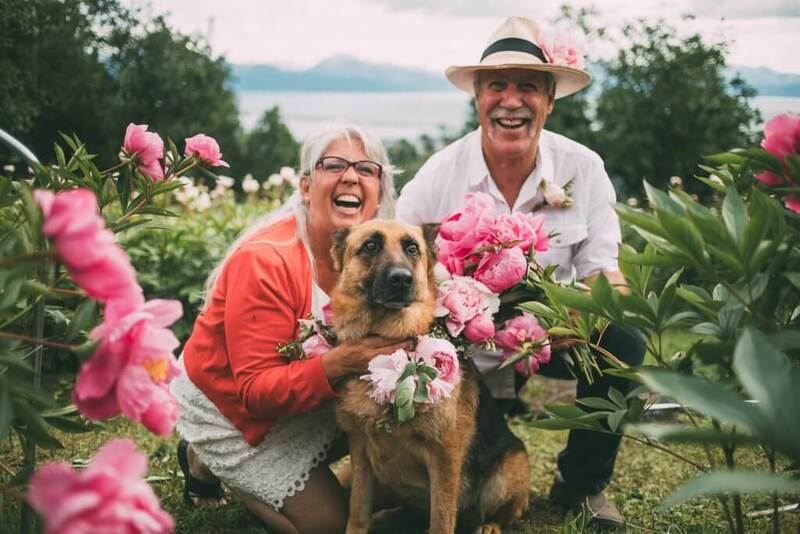 What is keeping flower farms from being totally successful and satisfied with their business in flowers? Competing for business as a flower farmer in the United States is hard. Really hard. Consider that the primary competition for our farms are imports from South America, primarily Colombia and Ecuador. And California just passed a law to increase the minimum wage to $15 per hour. The minimum wage in Colombia in 2017 is $1.18. The average worker in Colombia makes $246 a month. For some perspective, the iPhone 7 in Colombia still costs over $700. The state of California has also eliminated the ag overtime exemption that helped farms and their employees work longer hours during peak seasons. 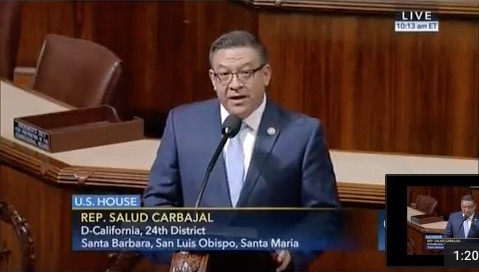 The combination of these two issues alone will have real impacts on our farms as they try to compete with countries that do not share the same politics, social concerns, environmental standards and attention to workers’ rights. The challenges our farms face, the pressure they feel, can be directly linked to their ability to compete in a market where flowers grown in other countries and flown to the U.S. aren’t required to meet the same standards. It’s an issue of fair play. U.S. flower farms play on a field (in their own country) that’s not level, and any decision to consider selling a farm or getting into cannabis production is symptomatic of a larger problem. That problem is directly linked to trade. I certainly encourage you to read the SAF article, but I also encourage you to go deeper and follow along as we continue the “California Growing” series, highlighting current examples of California farms (including Green Valley Floral and Dramm & Echter) who are expanding, growing and further investing in flower farming. Eufloria sleeves its roses with the Certified American Grown brand to help highlight how special their roses are in today’s floral market. Less than 1 percent of all roses in the market are able to display this brand. 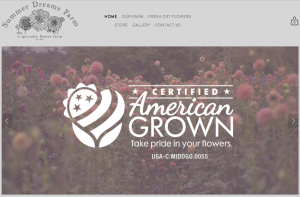 redesigned website featuring their roses and the pride in their membership with Certified American Grown. 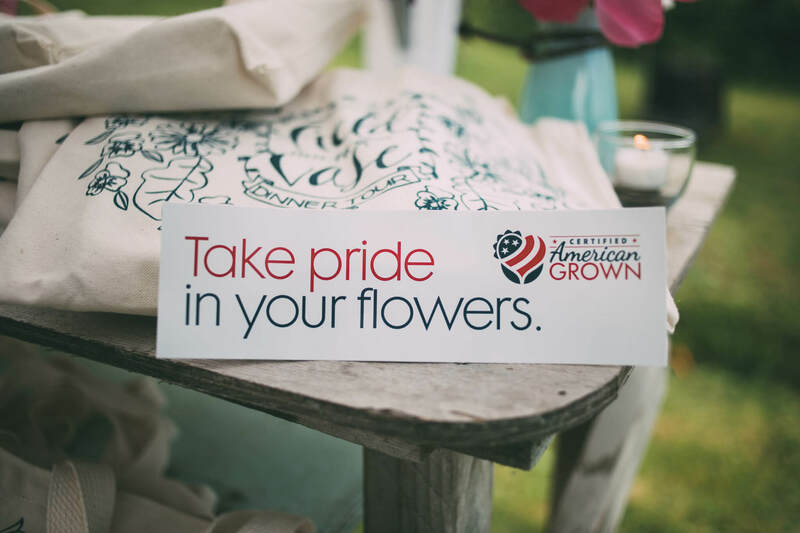 That pride extends to their sleeves where their Certified American Grown Flowers logo is displayed proudly alongside their company logo for consumers to see, appreciate and support. 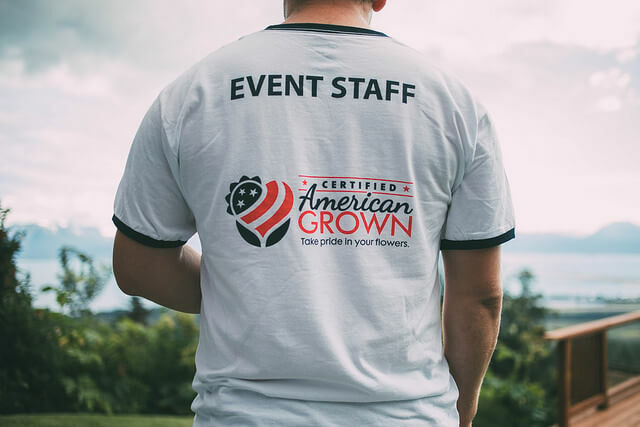 Adoption of the brand by Certified American Grown flower farms has helped make Certified American Grown the most recognizable consumer-facing brand in the floral industry. 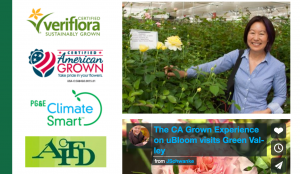 Today, millions of stems of homegrown flowers are being Certified American Grown and more and more of our Certified farms are sharing their pride for the program by placing the brand on flower boxes, flower sleeves, websites, email signature blocks, etc. One farm painted the logo on the side of one of their barns! 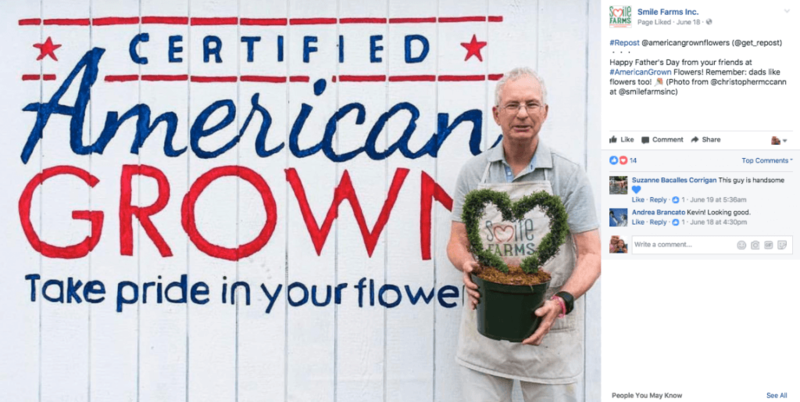 Smile Farms in New York is proud to be Certified American Grown! 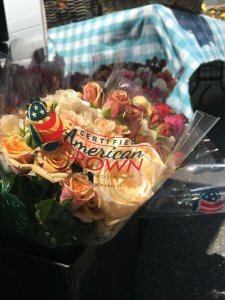 Congress recently declared July as “American Grown Flowers Month,” helping to further the effort to increase the public’s awareness on why buying American Grown Flowers and supporting America’s flower farming families is so important. Origin matters. It does. 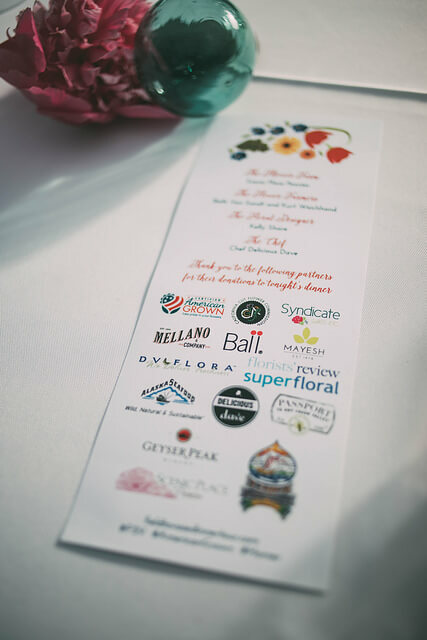 And it is great to see more and more people finding that they can support our farms and find American Grown Flowers, thanks to the collaborative effort of farms who are using the Certified American Grown brand to help make that connection with flower lovers. 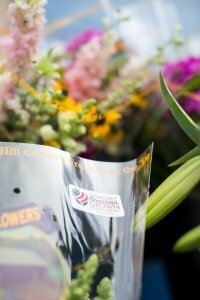 Check out all of these great examples of our farms doing their part to wave the flag for Certified American Grown Flowers. 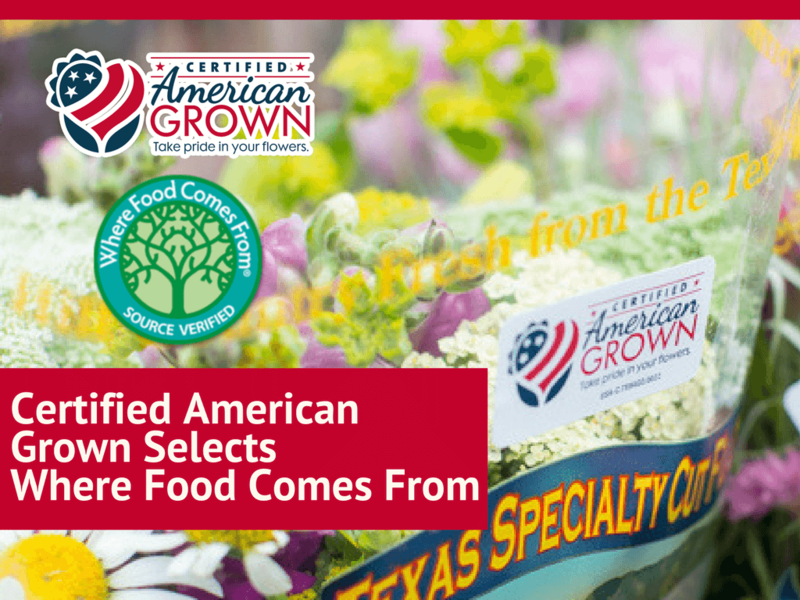 Glad-A-Way Gardens is proud to wave the flag for Certified American Grown. Texas Specialty Cut Flowers shares its pride right on their sleeves. 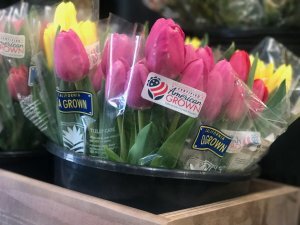 Sun Valley Floral Farms promotes its homegrown tulips using the Certified American Grown brand. Summer Dreams Farms in Oxnard, Michigan, showing its pride on its website. Truck wraps! You bet! 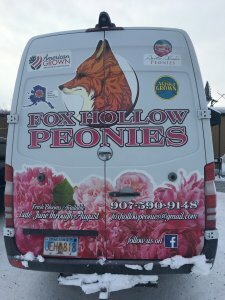 Fox Hollow Peonies shows off their pride wherever they drive. California Pajarosa let’s everyone know they are Certified American Grown right there on its homepage! Certified American Grown Council member Rita Jo Shoultz takes her responsibility to spread the news with every email she sends. Check out her signature block! We love this! 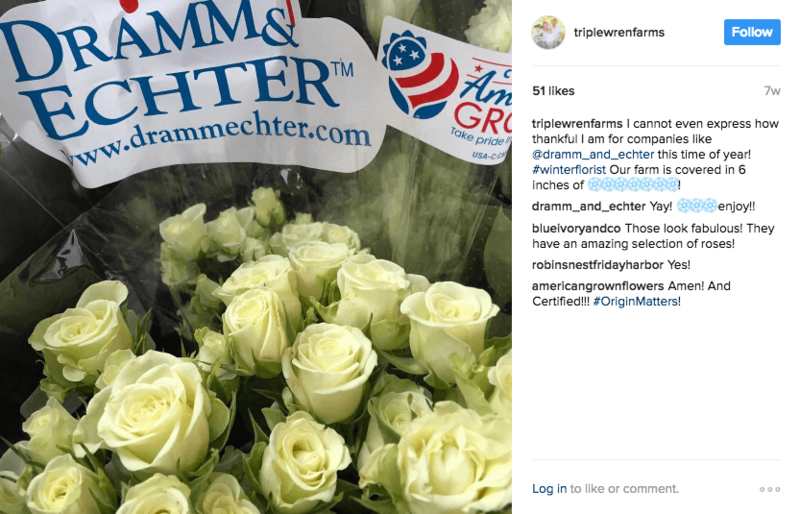 Fellow Certified flower farmers using social media to highlight and support other Certified flower farmers. 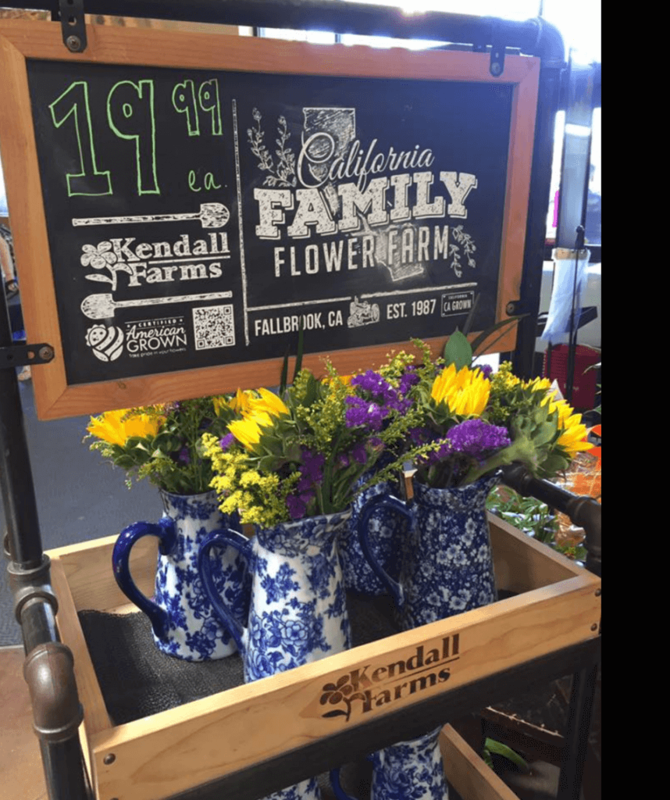 A great in-store display at a Raley’s in Northern California by Kendall Farms of Fallbrook, California. 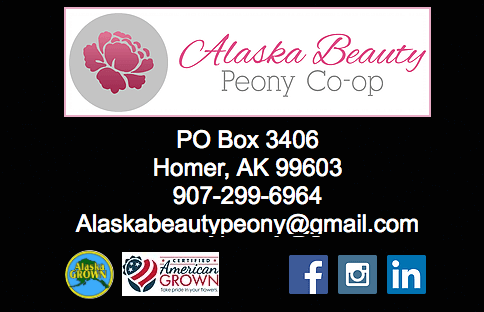 Alaska Beauty Peony Co-op is proud to be Certified, so it says on its website. Janet Louie of Green Valley Floral highlights its pride on their website too! 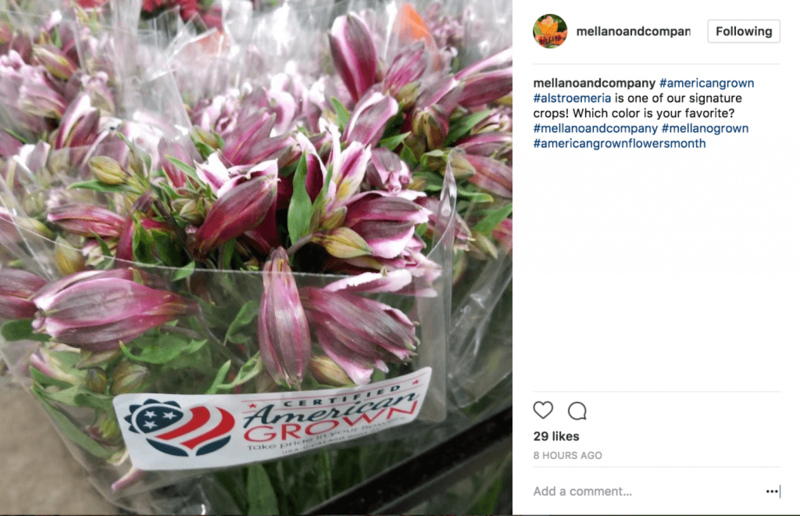 Mellano & Company getting social with their pride for Certified American Grown Flowers on Instagram. These are just some of the examples you can find out there from our farms highlighting their pride and working together to help really drive consumer awareness for our homegrown blooms. What other examples are you finding? Leave a comment or send me your cell phone photos. What’s Happening On California’s Flower Farms? As I travel the country speaking with people about our industry, our farms and the American Grown Flower movement, I undoubtedly get asked where I’m from. After sharing that I live in California, the conversation typically turns to a discussion about the state, a recent headline they read , a news report they watched or a trip they took to the California coast. 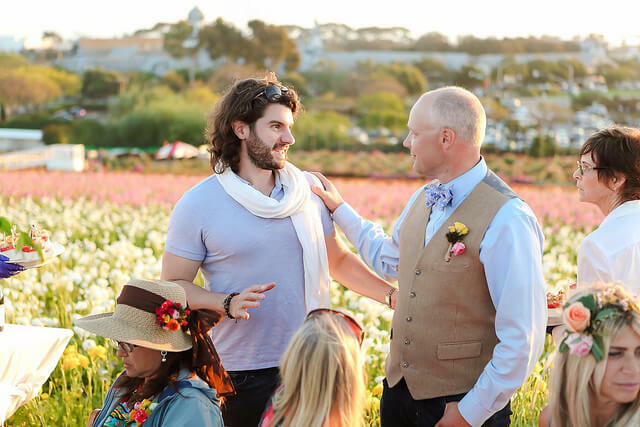 If they are in the industry, they may start “talking shop” about our California Grown Flowers. 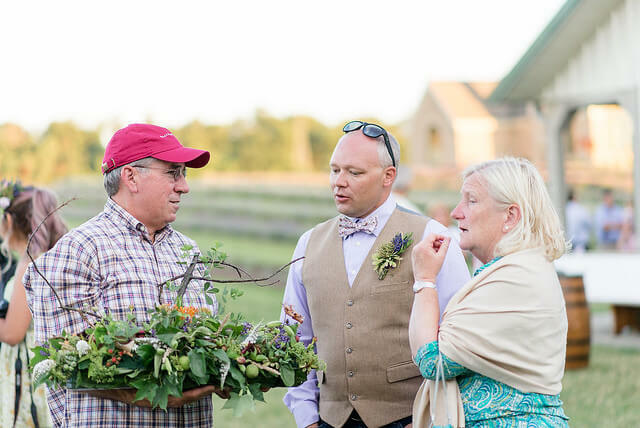 Visiting with guests during the American Grown Field to Vase Dinner at Destiny Hill Farm in Washington, Pennsylvania. Regardless, I always enjoy the discussions and am struck by the varying impressions and opinions people have about the Golden State and, specifically, their understanding of California flower farming. Yes, California is the largest producer of cut flowers and greens in the United States, providing almost 80 percent of domestic production and approximately $300 million in farmgate value. I enjoy every opportunity to talk about flower farming in the United States and the growing demand for American Grown Flowers. But these aren’t corporate farms, venture capital companies or multi-national conglomerates growing flowers in California. They are family farms, dedicated to the craft of growing flowers, in some cases, for more than six generations. So, during this time of growing consumer interest in where products, like our food, are coming from, we thought we’d provide some posts that feature California flower-farming families, highlighting their farms, their flowers and their continuing commitment to grow, develop and expand their operations to meet this increasing demand for flowers grown here in the U.S.
Each year, a dedicated group of California flower farmers descend on the state’s capitol to advocate for their futures. We’re calling this series, “California Growing,” and for the next several weeks, the CCFC will be publishing a collection of stories on some of our farms that have great examples of investments they’re making in growing their farms and increasing production – and that have a bullish outlook on their future ahead. I hope the series helps answer questions, inspires and provides perspective on what is really going on in California. 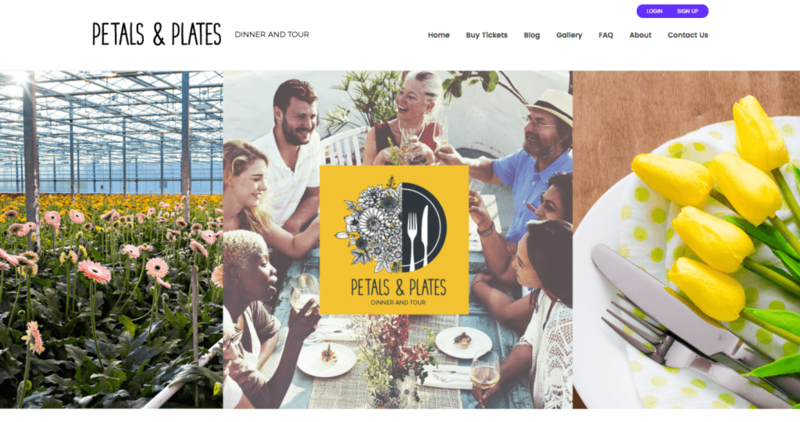 The series kicks off in Santa Paula, California, at Joseph & Sons’ flower farm.